It doesn’t take a powerful storm like Hurricane Irma to lose your data – anything from a hardware failure, software corruption or a spilled coffee can do the trick. Sometimes a looming catastrophe can help us realize what we should have been doing better all along. For any business, data collection and storage are vital. Whether data is your end product or something you use to provide your valuable services, it’s essential to your success. Organization is the key to monitoring, saving, and backing up your files. Make sure you know where everything is, so you can retrieve any lost data quickly and efficiently. Develop a standard naming structure and memorable folder paths. If your files are too disorganized to find, that’s barely better than losing them. Make sure you take care of what’s most important. Files you use most often, data that can’t be re-created, applications you’ll need in the future, and home videos are a must. 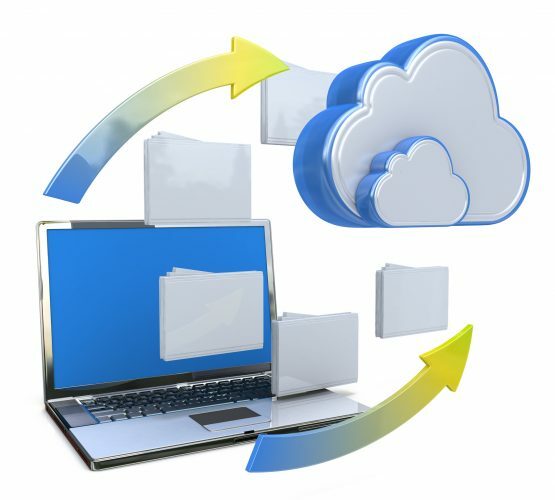 Cloud Backup – Whether it’s a personal cloud account or an enterprise-sized solution, it’s always a good idea to store your files where they can’t get lost or rained upon. Whether a fire, flood, blizzard, or Hurricane Irma come your way, you’ll be protected with services like Dropbox, Google Drive, Microsoft OneDrive, etc. Online Backup – You can download a program to run in the background of your PC or Mac that will automatically backup all your files to the service’s web storage. There are many online backup services to choose from, so shop around and choose wisely. Local Backup – Use an external hard-drive, USB drives, or CDs (if you have a CD drive) to make sure your files are quickly accessible. It’s the cheapest and fastest method. This also helps you easily transfer and share files to your colleagues and clients. While it’s great that you’re securing your files now, it’s equally important to automate this process so you will continue to be secure in the future. If you set up an automated tool, you won’t have to copy files by hand. If you choose to go with a Cloud or Local option, be sure to update your files regularly for version control. Here’s a quick guide on how to easily move your folders in Windows. You can back up your whole system, which is the safest and slowest way to go. But you can also choose to backup a few select files more often. It’s quicker and keeps important documents up to date. “Your backups won’t be any larger than they need to be, and they’ll complete quickly,” says How-To Geek. Mobile Devices – many cell phones and tablets have a baked-in cloud recovery account. Make sure they are properly set up for optimal recovery. Sentimental Memories – photos from a family vacation, specially designed items for a loved one, personal journals, home videos, voicemails, etc. Documents – the basic documents you use every day, from word processing files to spreadsheets. Application Data – most apps save data in the C drive under Documents and Settings. Be thorough when you design your backup to cover things like email. Media – your photos, music, and videos. Note – media files can be very large, and may take longer to backup. Depending on your personal needs, this may require its own parallel backup strategy. Backups take time, effort, and, occasionally, money. But investing in your security now is a lot more affordable than undertaking costly recovery and loss later on. If you would like to talk with someone about network security needs for your business, visit our Request Talent page or contact a local team. Check out a case study of how we helped a leading global provider of network infrastructure products set up a Security Operations Center (SOC). Read the full story here. Special thanks to How-To Geek, PCWorld and Autodesk.